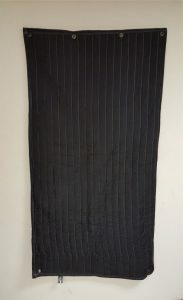 The Window Noise Control Blanket is made out of Producer’s Choice Sound Blankets, which is widely used by drummers, voice actors and others in audio and music industry for acoustic room treatment and sound absorption in recording studios. The window Noise Control Blankets is doubled up to increase noise reduction. Encouraged by the success of our Door Noise Control Blanket (available here), we created the Window Noise Control blanket. If you experience issues with noise coming through the windows the first thing to do is to seal the gaps around the frame and make sure the window is shut tightly. Then hang the Window Noise Control blanket, flush with the window frame, to significantly improve the sound transmission loss. Producer’s Choice Sound Blankets used to make the Window blanket have been professionally lab tested in a sound lab to absorb 80% of noise (NRC 0.8). Our Window Noise Control Blanket also completely blocks the light coming through the window to help you sleep better. NOTE: The Window Noise Control Blanket is not “soundproof”. It will not put the outside noise on “Mute” , but if used correctly, it will reduce the overall noise coming through the window. 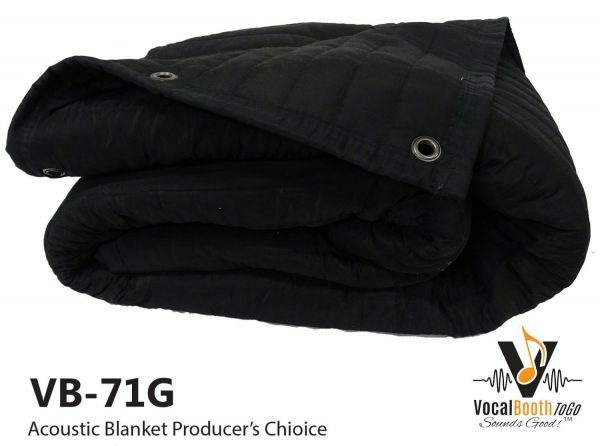 Sound Blankets Producer’s Choice with Grommets, Black VB71G. This sound absorption panel designed for easy, acoustic room treatment, to make your voice over and audio Recording sound better. With 5 Grommets for easy installation. Need to soundproof your door or a doorway? 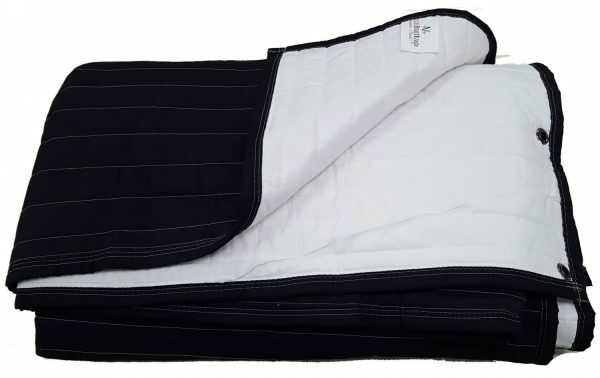 Due to the overwhelming demand of our customers, we created a double-layer blanket to go over the doorway or an existing door to reduce the noise coming through the doorway. People experience issues with noise through their doors and doorways because often times doors have gaps around the frame allowing a significant amount of sound to leave or enter a room. 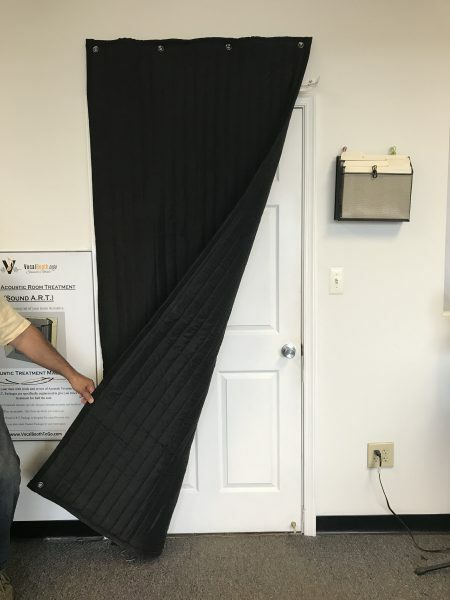 Our door blankets are designed to be attached to any door to significantly improve the sound transmission loss ability of the door and its frame. Producer’s Choice Sound Blankets used to make the door blanket have been professionally lab tested in a sound lab to absorb 80% of noise (NRC 0.8).